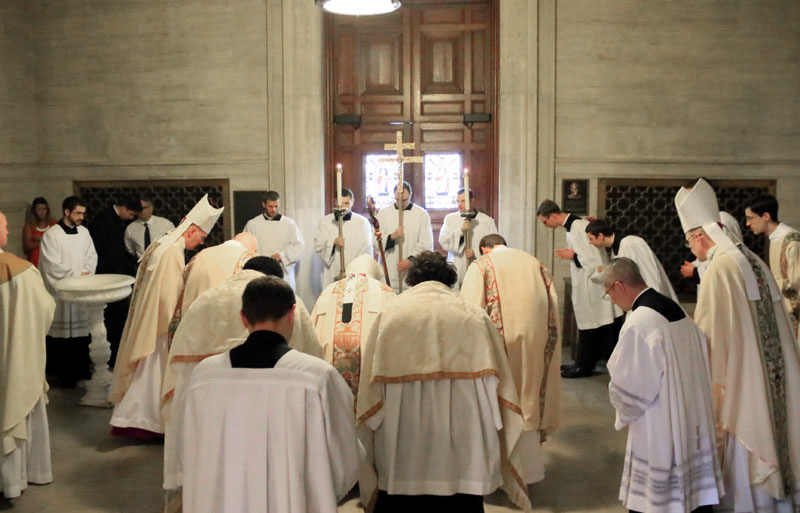 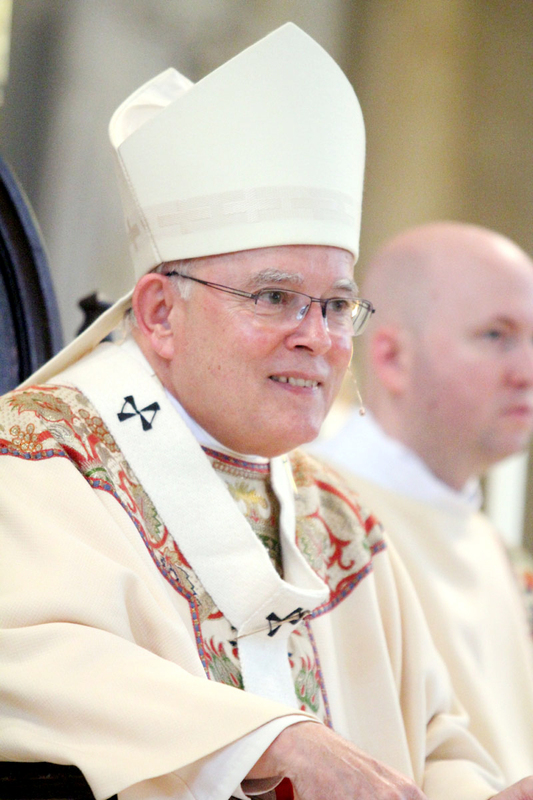 Archbishop Charles Chaput ordained four men transitional deacons on Saturday, May 16 in St. Martin’s Chapel at St. Charles Borromeo Seminary. 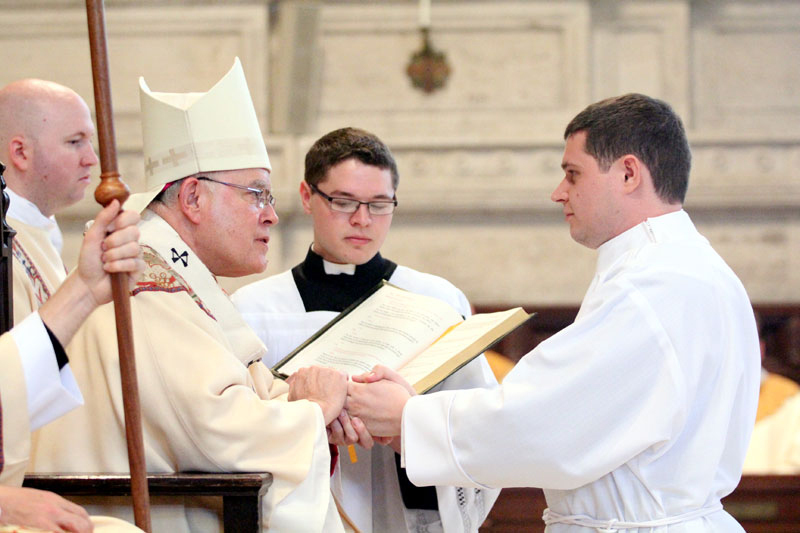 The four will begin their final year of study at the seminary in the fall, and serve for a year at a parish in the Archdiocese of Philadelphia prior to their expected ordination as priests in May 2016. 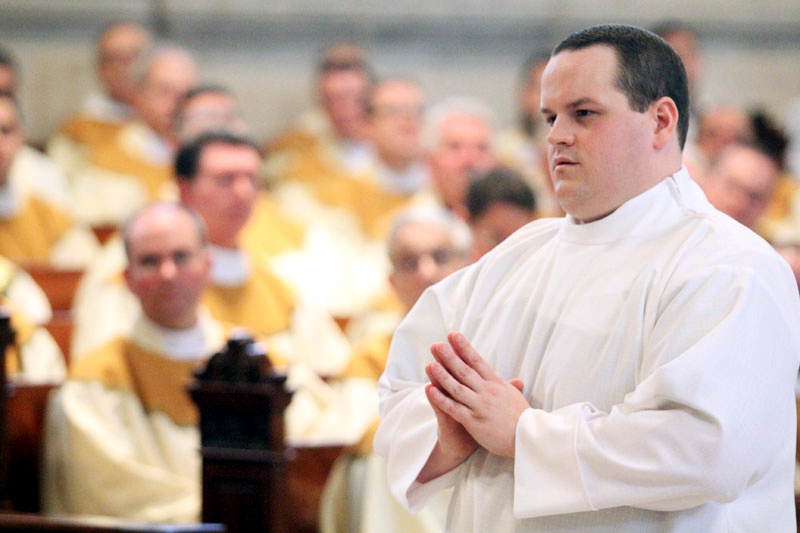 The four seminarians are Matthew Biedrzycki, Mark Cavera, Thomas O’Donald and Matthew Windle. 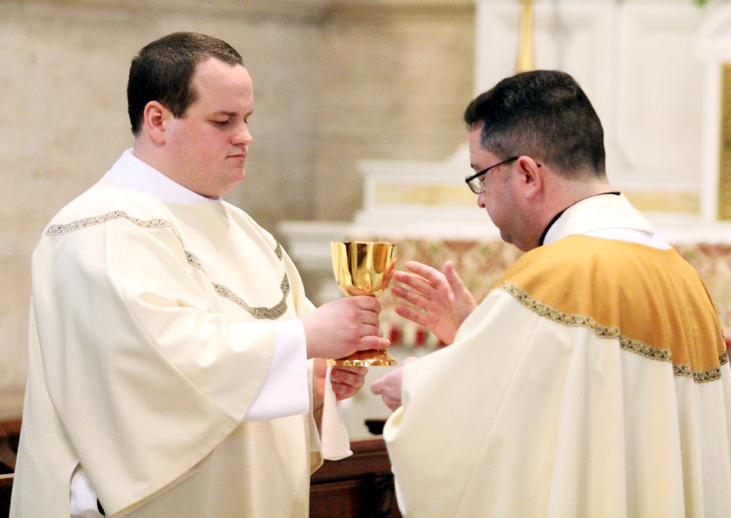 Matthew Windle, left, offers the chalice to Father Tom Gardner at the diaconate ordination Mass. 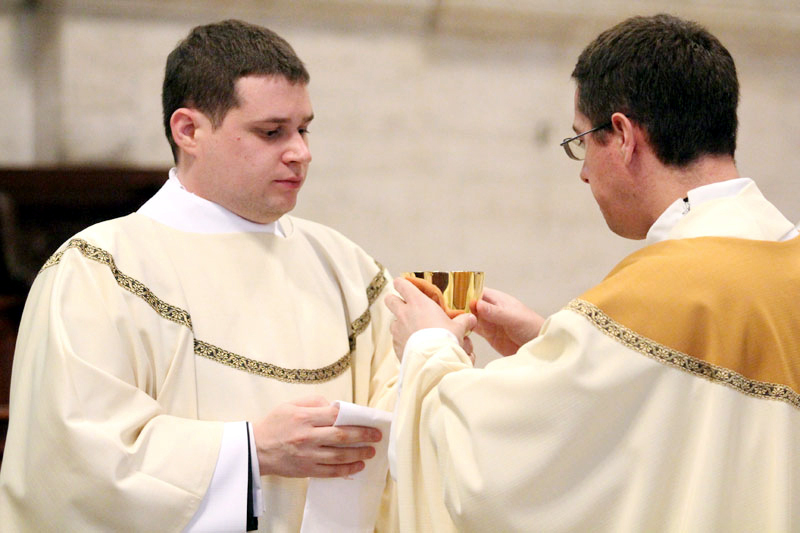 Newly ordained deacon Mark Cavera, left, offers the chalice. 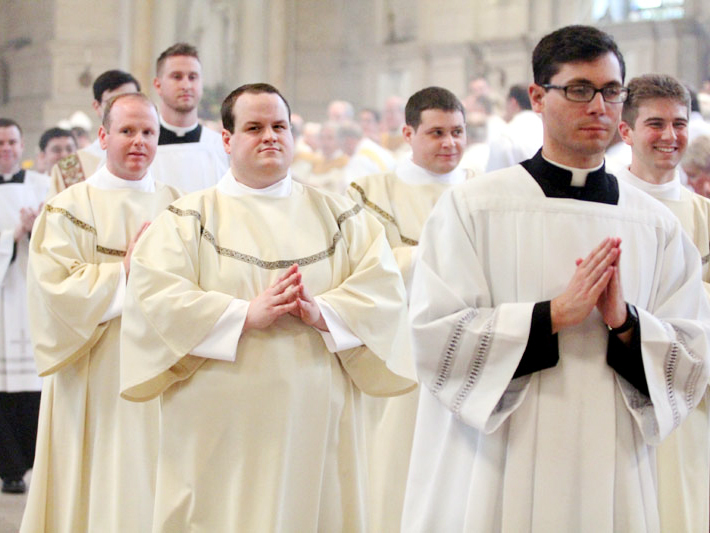 The newly ordained deacons and other seminarians recess from the chapel at the close of Mass. 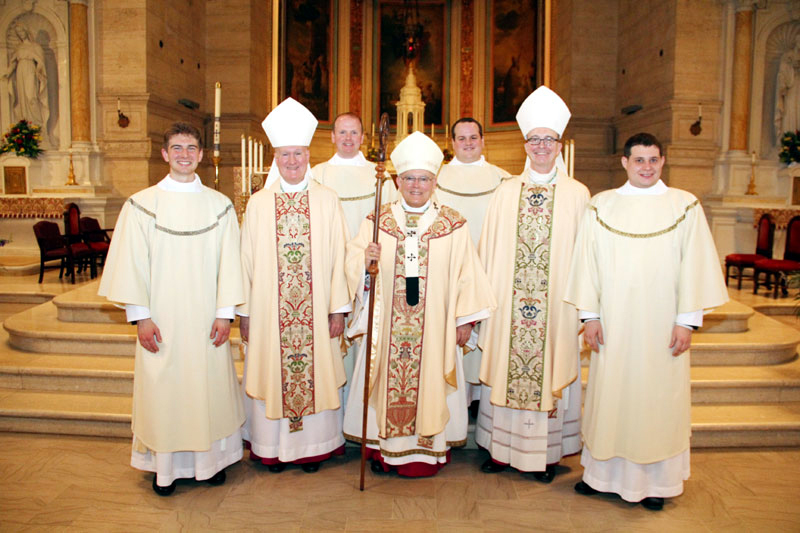 Posing for a photo after the Mass are, from left, Deacon Matthew Biedrzycki, Bishop Michael Fitzgerald, Deacon Matthew Windle, Archbishop Charles Chaput, Deacon Mark Cavera, Bishop Timothy Senior and Deacon Thomas O’Donald. 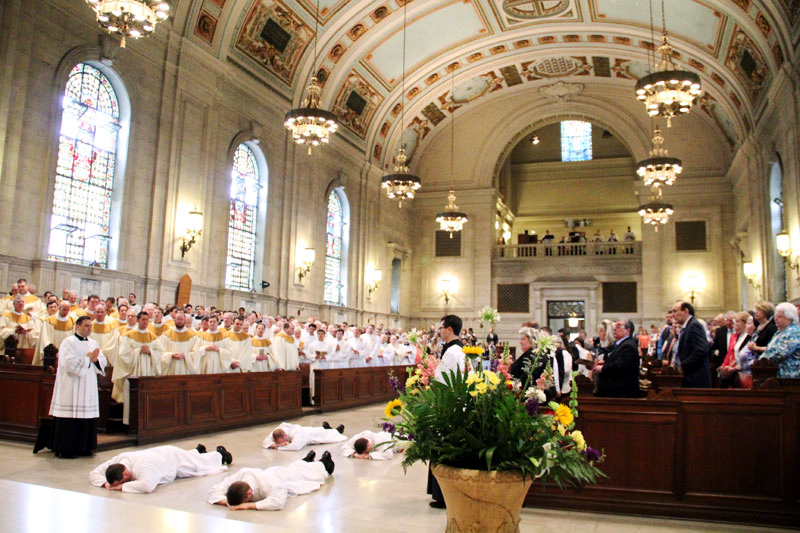 The celebrants and liturgical ministers for the Mass bow in prayer before the entrance procession begins. 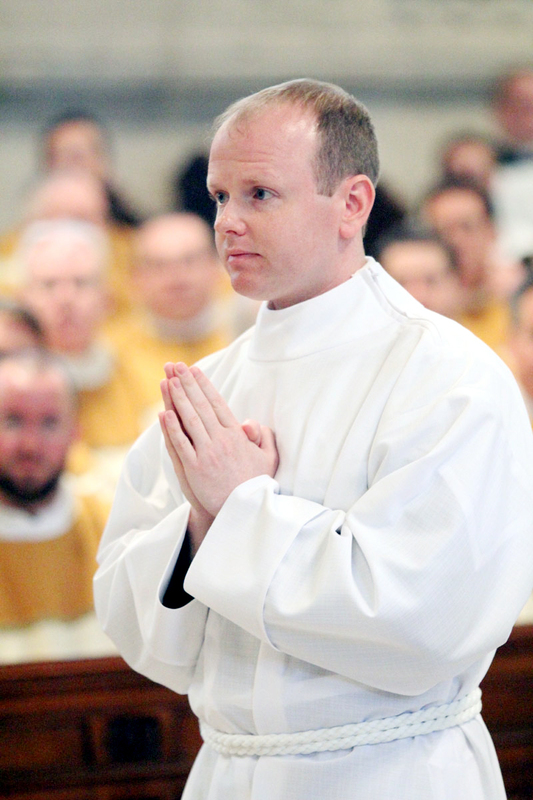 The archbishop prays for Thomas O’Donald during the ordination rite. 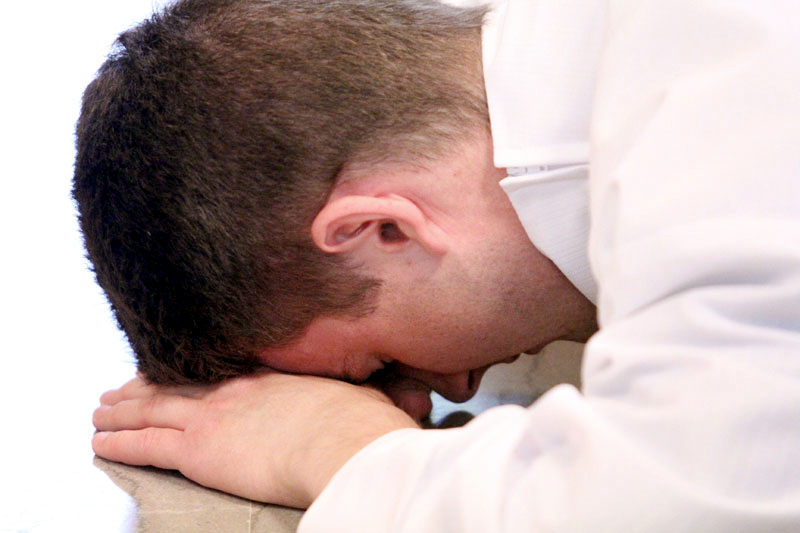 Matthew Biedrzycki lies prostrate on the floor of St. Martin’s Chapel during the litany of saints in the ordination rite. 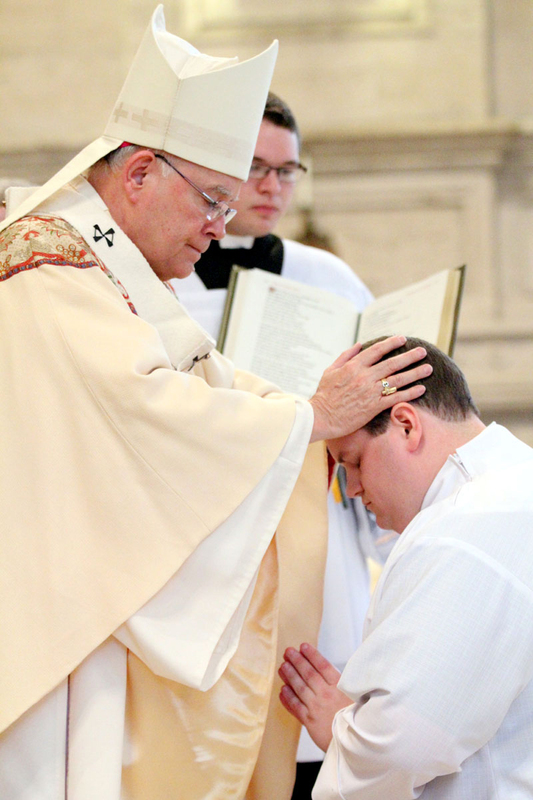 Archbishop Chaput lays hands on and prays over Mark Cavera, ordaining him a deacon. 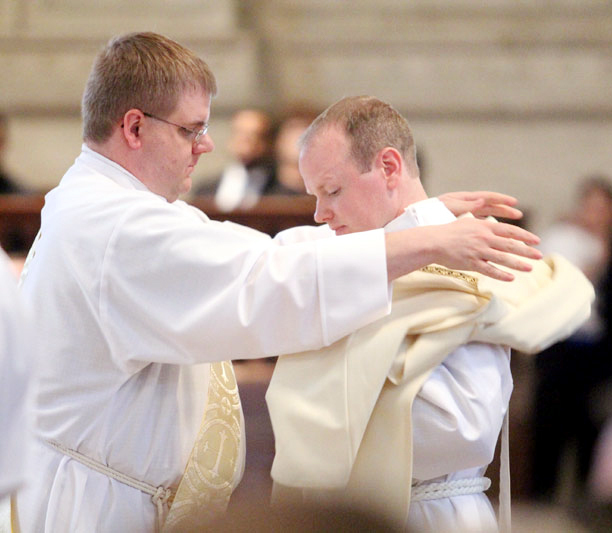 Matthew Windle (right) is vested in the dalmatic, a liturgical vestment worn by deacons, with the help of Deacon Steven Kiernan, who was himself ordained a priest one week later. 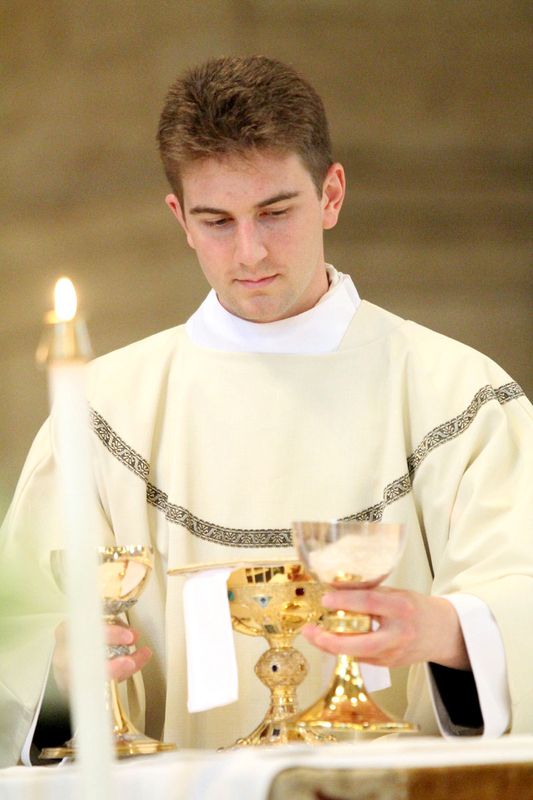 Deacon Matthew Biedrzycki prepares sacred vessels at the altar during the Liturgy of the Eucharist that followed the ordination rite. 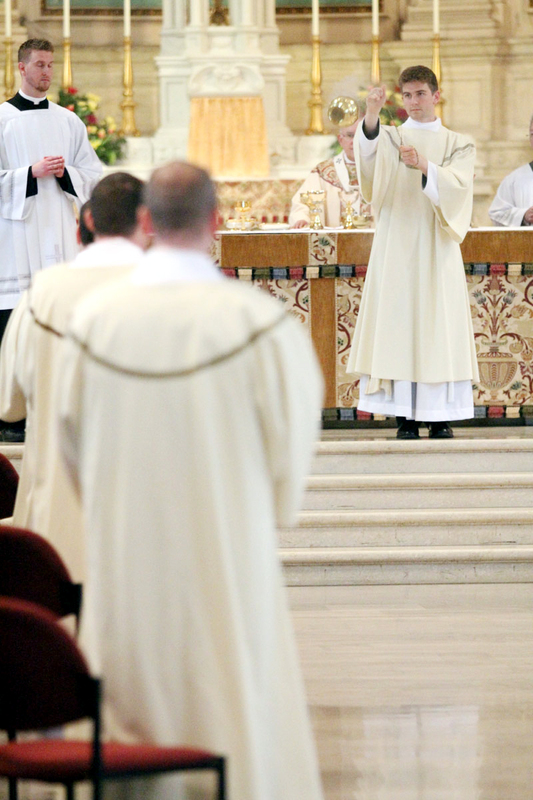 Deacon Matthew Biedrzycki incenses the congregation and his new fellow deacons. 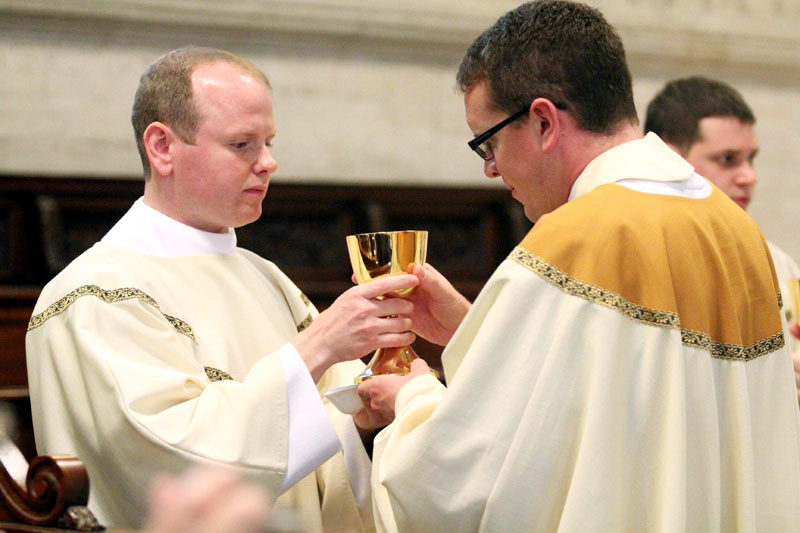 Deacon Thomas O’Donald distributes holy Communion at the Mass.